The qualification is composed of seven mandatory units giving you seven credits. It's recognised as the industry standard level 1 qualification for coaching football by the national governing body for Football in England, The Football Association. The FA is also the professional body for football coaches, providing services and support to those who hold this and other football qualifications. 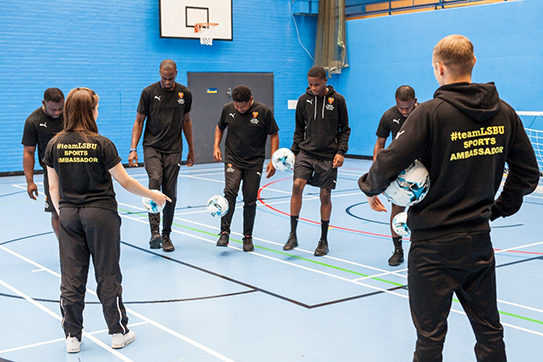 Our course has the support of a range of employers, including football associations, clubs, schools and colleges, as the sole qualification for those looking to begin a career in coaching. As part of this course, you will also receive an FA Emergency Aid Certificate and FA workshop 'Safeguarding Children in Football'. Please contact coachingcourses@lsbu.ac.uk to register your interest and find further information on our course dates. The price of the course is £225.